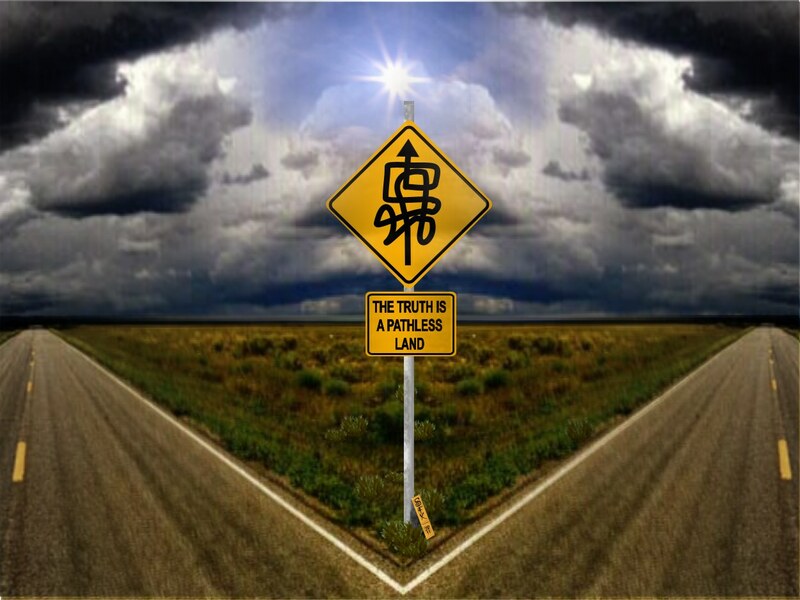 I was musing on something this morning and remembered a sign I saw on the internet some years ago - it was a funny road sign with a convoluted path which said, follow the psycho path. I wanted to make an illustration on the topic, looked for the original sign and it was nowhere to be found. It's funny how things that were so common on the internet at some time just disappear altogether, data is so malleable, so easily lost (Japanese saying: Three things in life are certain - death, taxes and data loss). So I thought, well, the illustration is a good illustration for the "truth is a pathless land" principle. It's much the same as following the psycho path - lol. I like this. To me, it stands for a number of things, amongst them also the notion that to try and "walk the path of the conscious mind" leads to nowhere, just as to try and "walk the path of the unconscious mind (energy mind)" leads to nowhere either and what you need is a third thing, the glorious wilderness of trying to grapple with reality absolute, and that's done not on a tour bus with all the other cult members, but one human trying to make their own way in the pathless land, one at a time. At any rate, I put quite a bit of effort into my basic funny road sign so I thought perhaps we can start a revival of new funny road signs by making the transparent PNGs of blank funny road signs available to the general public, so I made some while I was there. 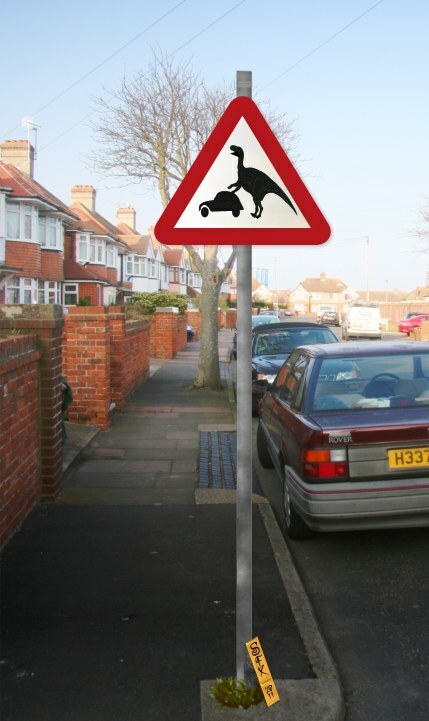 Funny Road Signs - Make Your Own! 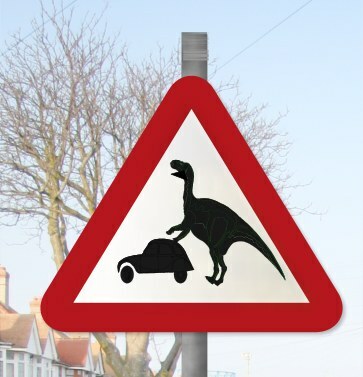 So all you have to do now is to put your own thing on the funny road sign so it's funny (I consider a dinosaur warning in a nice British suburb extremely funny and I make no apologies for that!) and because it's a transparent png, you can put it over the top of a photo of your choice. 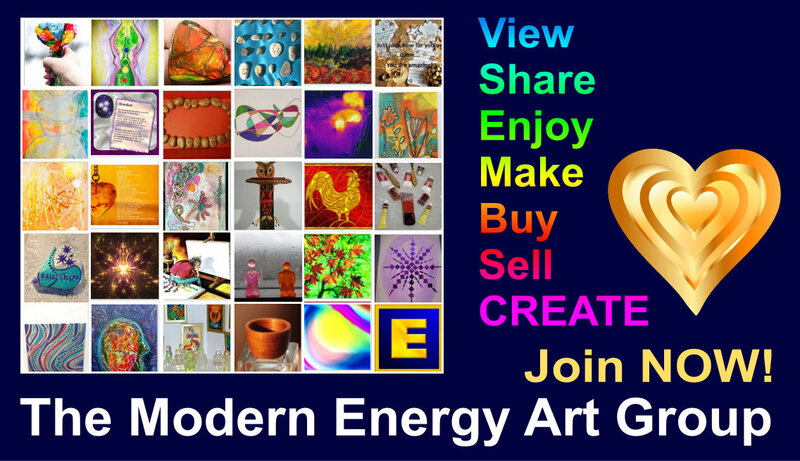 As always, free and with compliments for personal and/or profitable use but it is not allowed to add the graphics to any form of image library, free or otherwise. Oh, and let me know if you come up with something funny, send a mail!